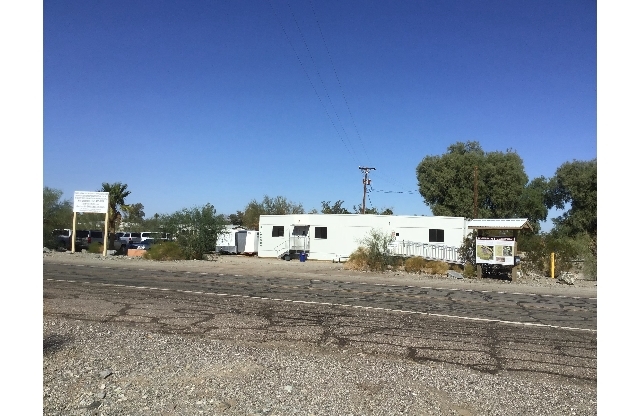 Established a Public Information Trailer in September 2018. 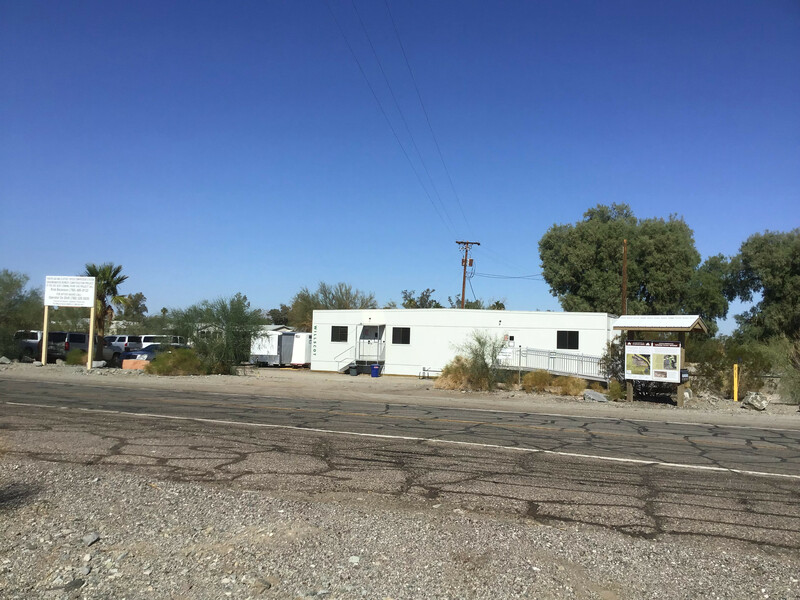 The Public Information Trailer provides walk-in access for interested individuals to learn about the PG&E project. 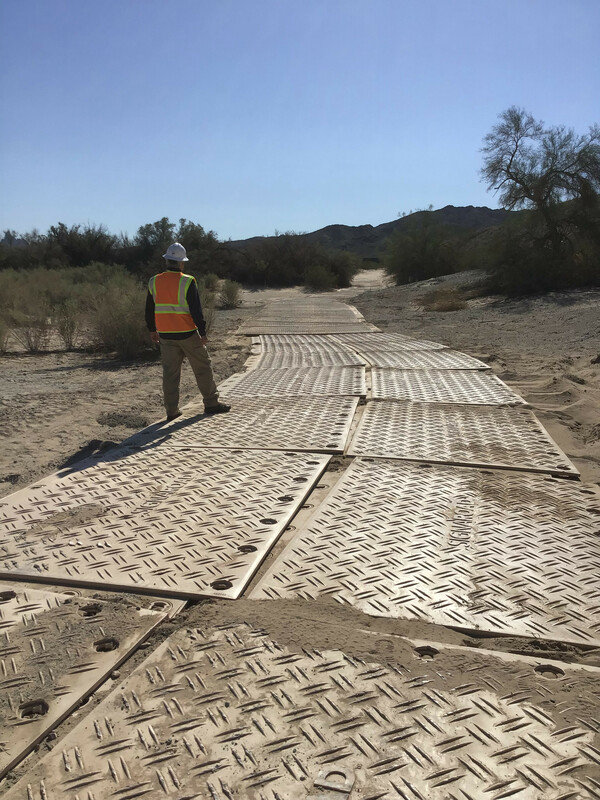 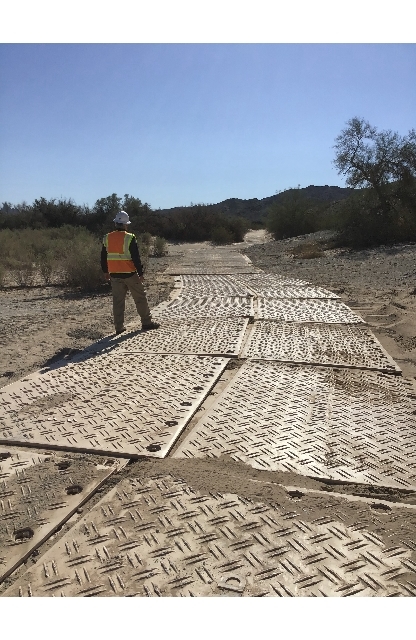 Mats were placed on the floodplain to facilitate access for drill rigs and construction equipment/vehicles over loose sand. 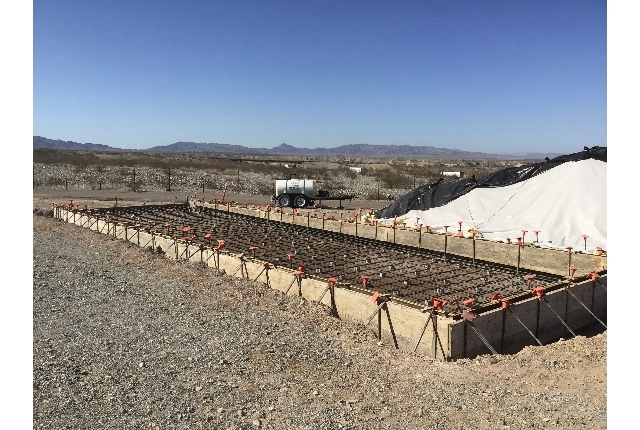 Drilling of monitoring wells started in November 2018. 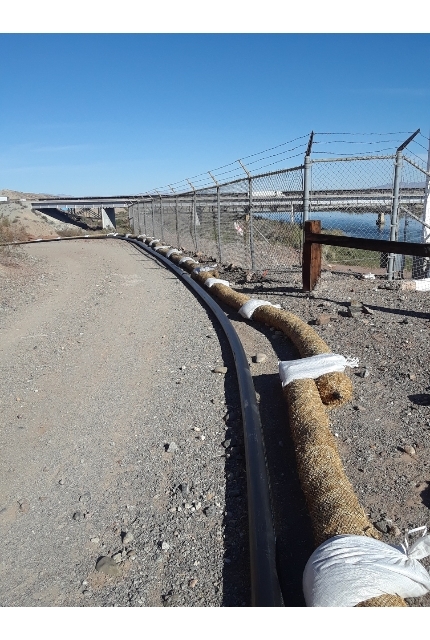 Installed protection measures for sensitive biological and cultural resources. 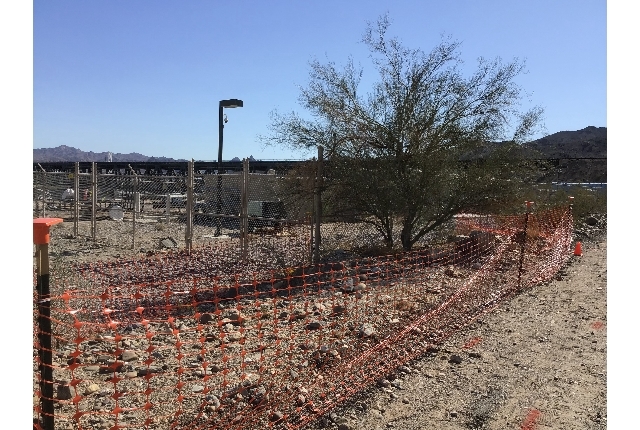 For example, in the image below, snow fence was temporarily installed to protect sensitive plants (such as the Palo Verde plant) during construction activities. 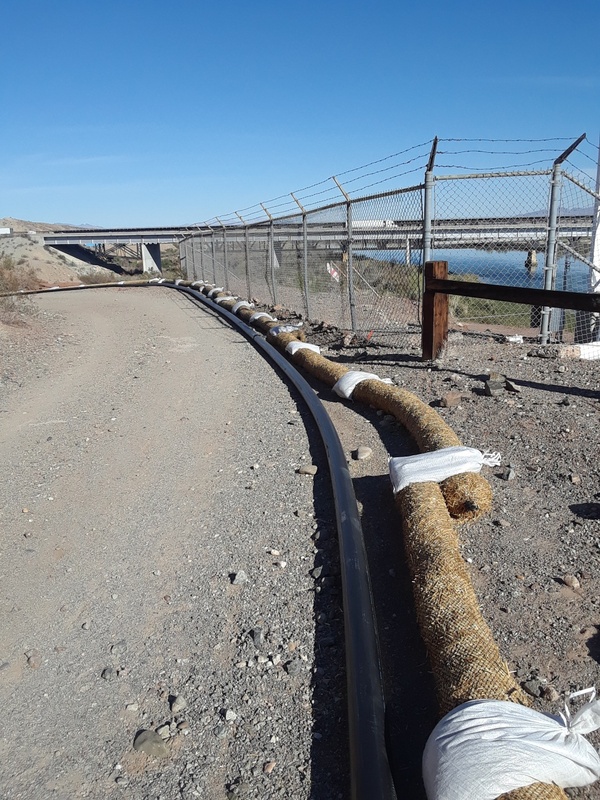 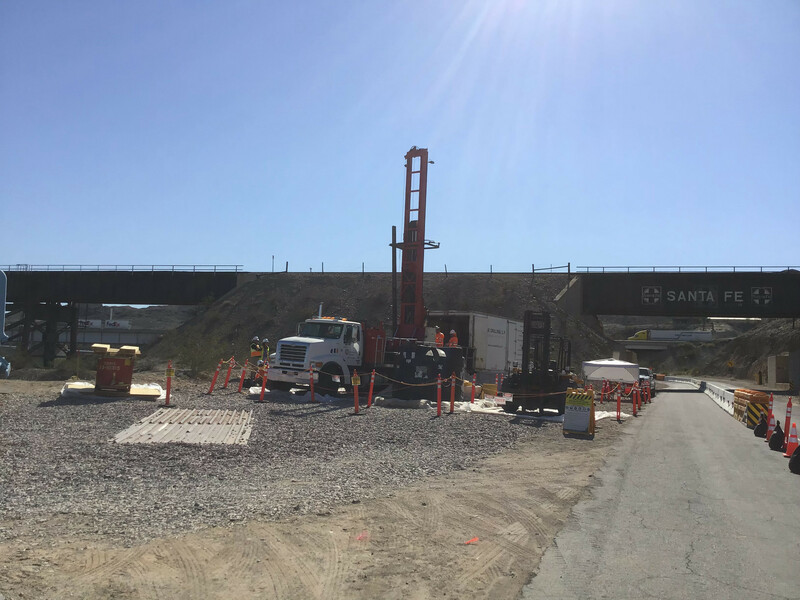 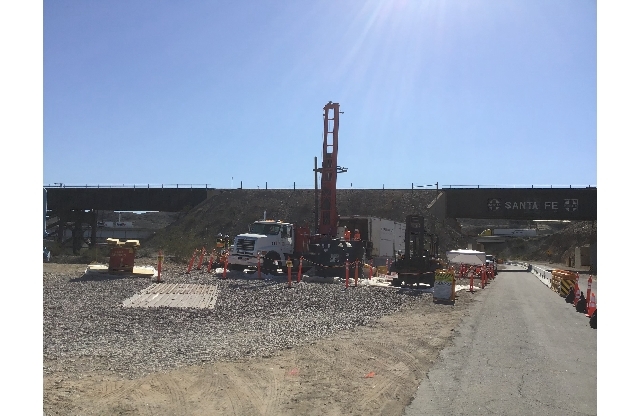 Installed fiber rolls to protect wooden rail along Historic Route 66 during installation of the temporary construction water line (left of fiber rolls in picture). 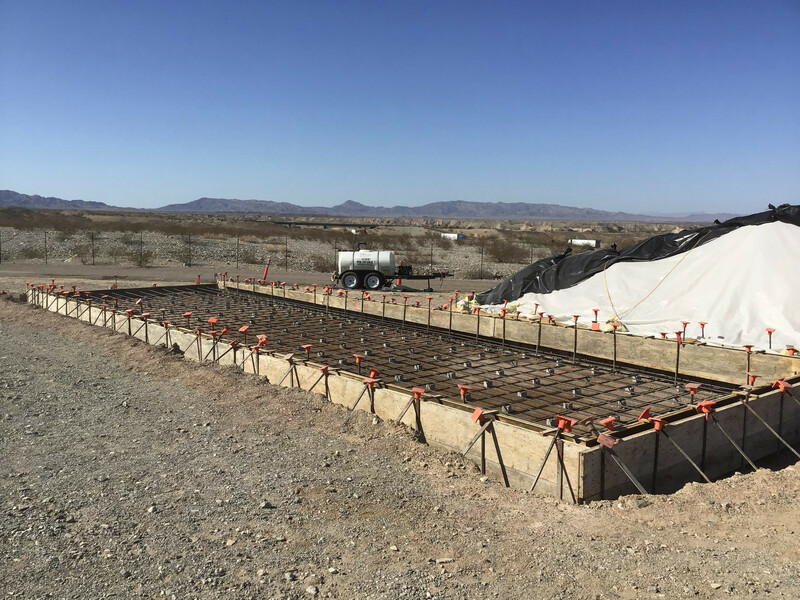 Excavated and set form work for the truck containment pad at the TCS evaporation ponds. 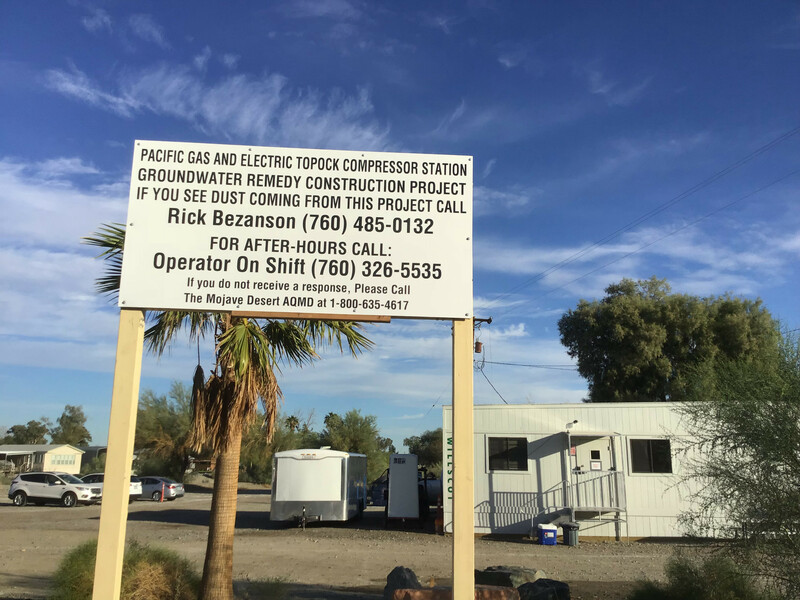 Installed informational sign near the Public Information Trailer on construction dust notifications, on September 20, 2018. 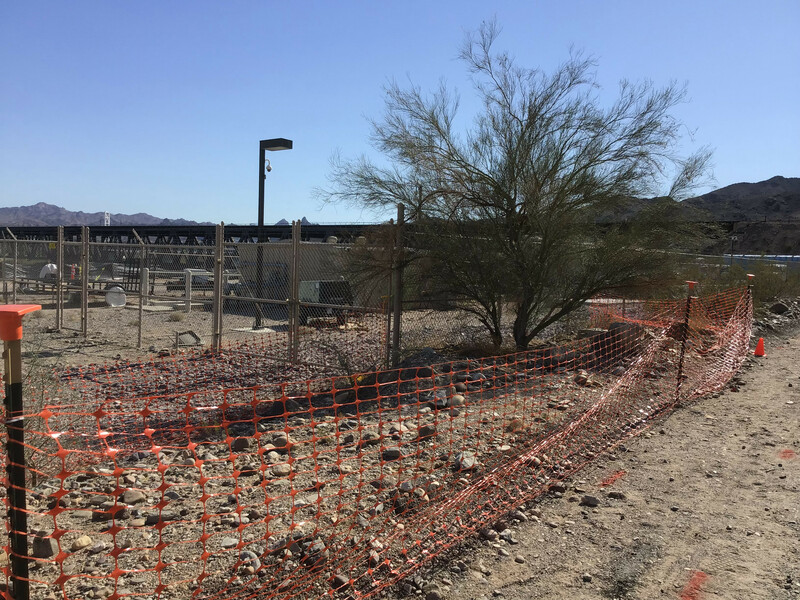 A Noise Mitigation Notice was sent to the Tribes and other potentially affected parties on August 10, 2018. 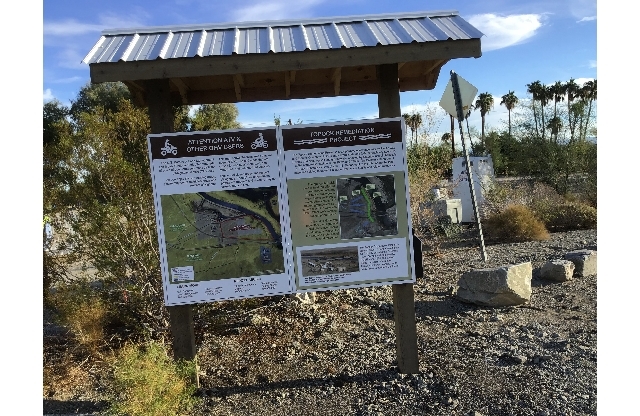 Click here to see a copy of the notice. 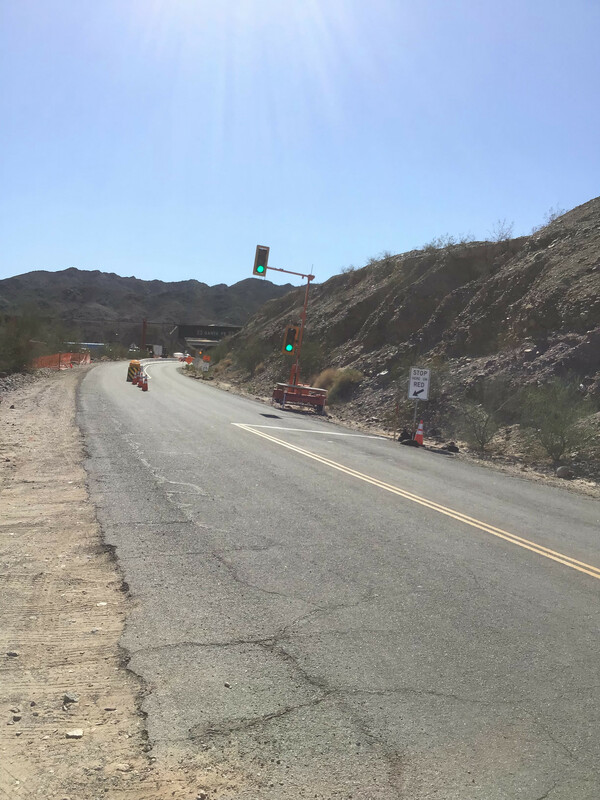 Installed an Information Kiosk on September 21, 2018 that shows the public where the restricted or closed areas are to off-highway vehicles and includes information about the project. 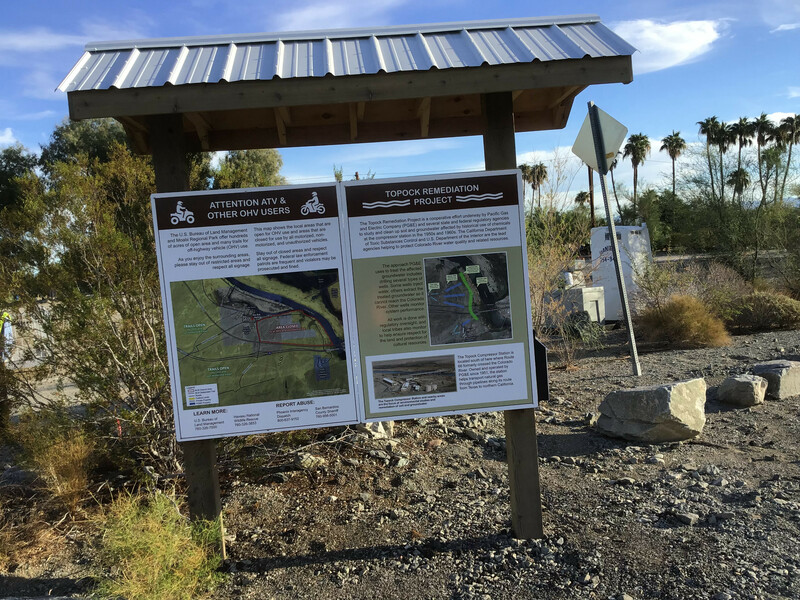 Click here to see a copy of the leaflets available at the kiosk. 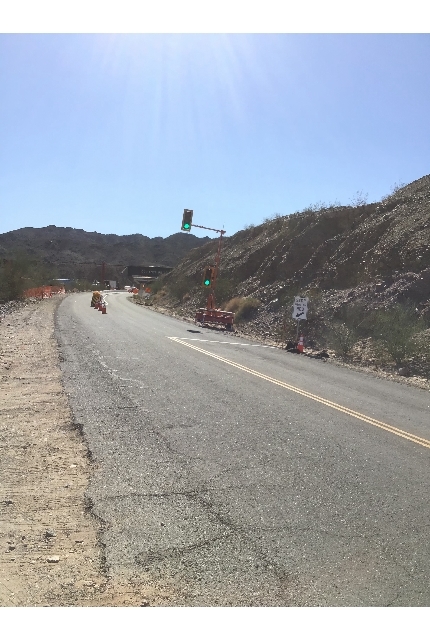 Installed traffic control on National Trails Highway (NTH) to facilitate construction activities along the south end of NTH.